Spring has sprung, and with it comes our favorite season - special event season! Here are some of our favorite event hairstyles to wow the world on your big night! 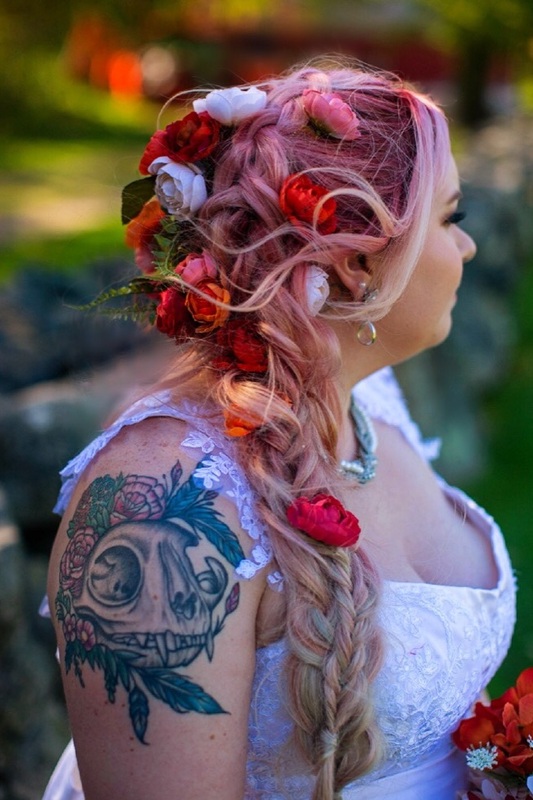 Floral Braid: The floral braid is perfect for someone who want an alternative and modern style for a special event. You can showcase your personal flair by choosing flowers (not provided) that fit your personality, and it gives you a chance to accessorize with your outfit. Play with different color combinations and types of flowers, and use it as an excuse to mix and match with your other accessories! The possibilities are endless. *Flowers not provided, please bring your own. Twisted Half - Up: This flowy hairstyle has some serious bohemian chic vibes! If you are not a fan of updo’s, consider having your tresses long and curled, with a fun twist to add some flair to this classic silhouette. The Retro ‘Do: Who doesn’t love a killer updo reminiscent of 60’s Hollywood? 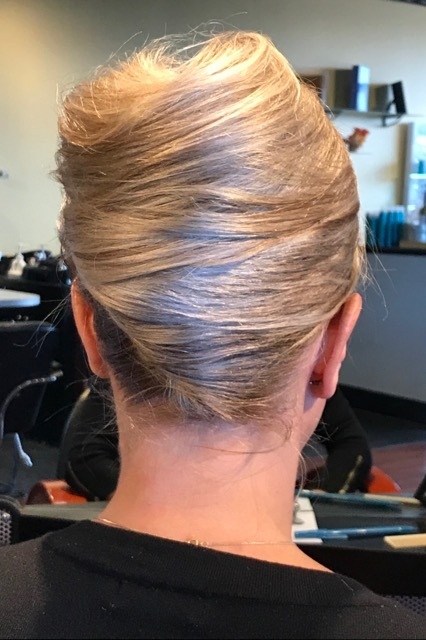 A classic beehive is timeless and stunning, for the girl who wants to make a vintage style into a modern wonder for the evening. The Pinned Curls: This beauty is about as classic of an updo as you can get! It is sleek, it is elegant, and it is a go-to style for nearly every type of event! Versatility reigns supreme with this style - dress it up with glitter, flowers, and adornments, or keep it classic and elegant all on it’s own! You cannot go wrong with this style. Your photos will thank you. Braided Bun: if you love braids, and want to add some glam for your big night, this braided bun is the perfect combination! Low and sleek to keep it classy, with a generous side bang in the front to frame your face, you will look stunning on your big night. Consider dressing it up with some adornments for extra pizazz! Side - Swept Flower Updo: Everyone loves a side swept updo for a big night! This look is soft and pretty, and will gracefully frame anyone’s face . The flower in the back adds a pop of color and texture, and can be carefully matched as the perfect companion to your outfit! 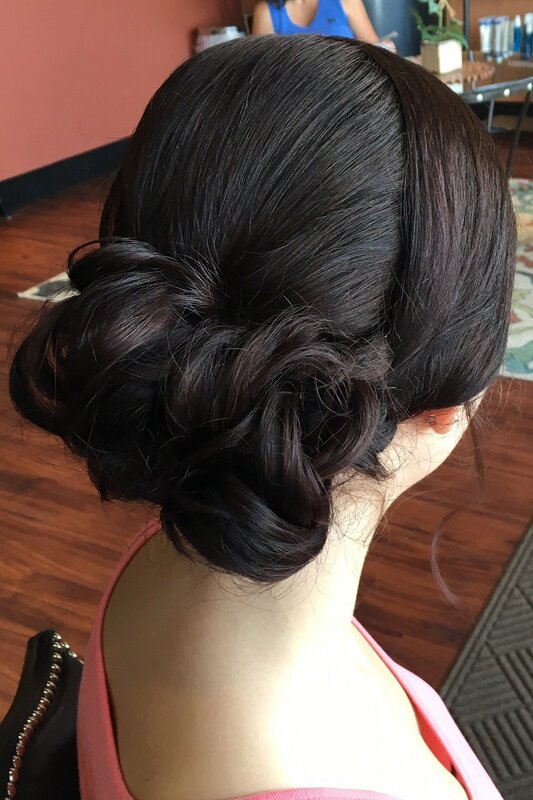 This floral ‘do will be sure to make you and your look stand out for a special night. Curly Bun and Twist: This one is for the messy bun lovers! If you want a casual, no fuss look that is oozing with elegance, this is the way to go! The curly bun and twist will transform your daily look from “queen of the messy bun”, to “queen of the prom” chic, for a special night out. 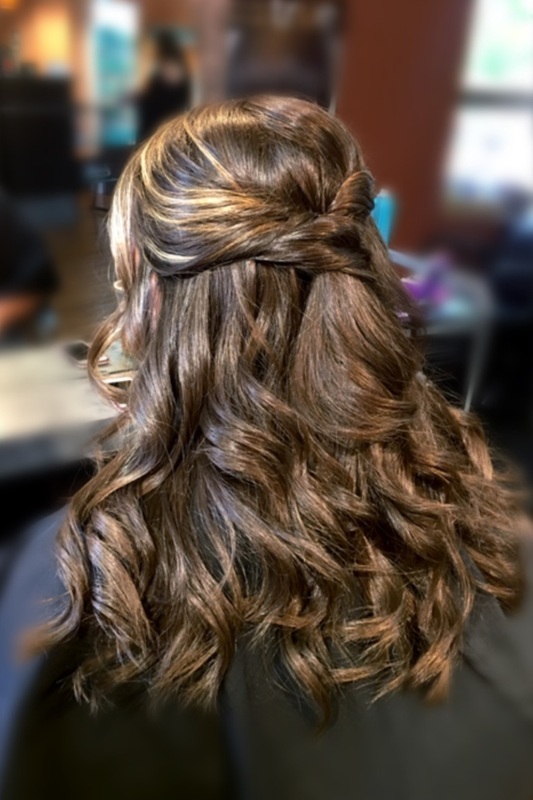 French Braid Crown Half Up: Fit for a warrior princess, this is a beautiful up-do! The french braids encircling the crown are reminiscent of Aphrodite herself, and will have you feeling confident and empowered all night. The long curls soften the look, and add an ethereal touch so you can dance the night away with the movement of a Goddess. 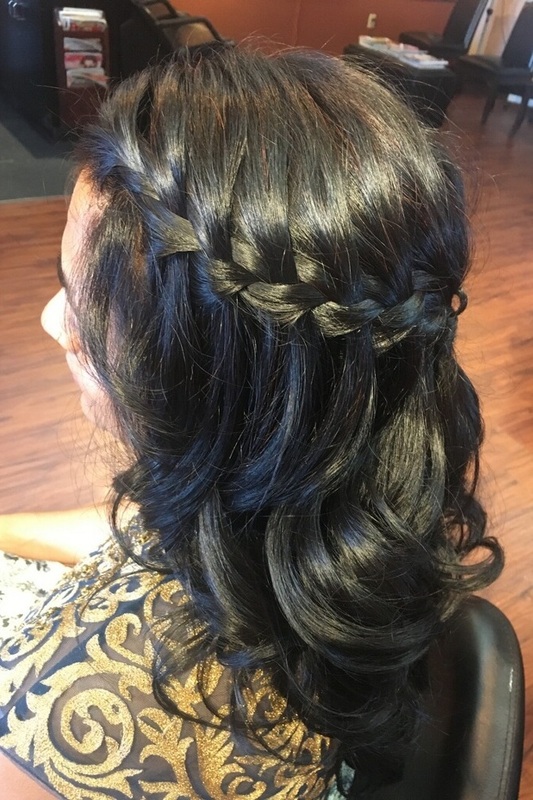 Half Up Multi French Braids: Similar to the twisted half up, this ‘do allows for free flowing movement, with curls cascading down your back. The collection of braids at the crown of your head make for a princess look that could be straight out of a fairy tale! Everyone deserves to feel like a princess for their special event.